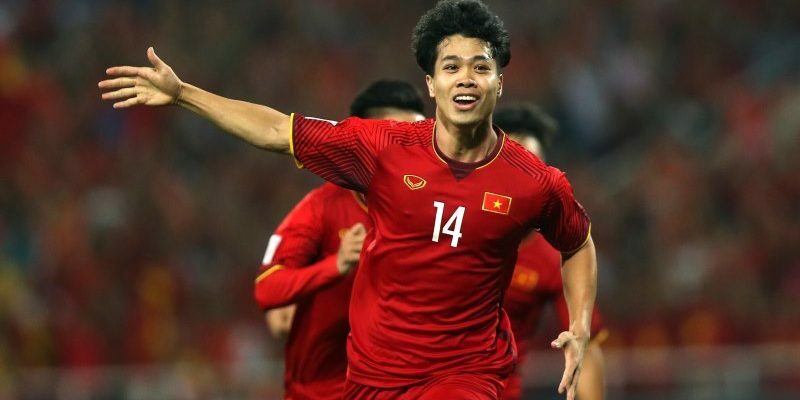 HANOI (16 Nov 2018) – Two clinical finishing saw Vietnam tamed Malaysia 2-0 in a crucial tie of Group A of the AFF Suzuki Cup that was played here tonight at the My Dinh Stadium in Hanoi. The defeat also saw Malaysia dropped to third place in the group with six points – the same as Vietnam and Myanmar but separated by goal difference. Myanmar take the lead in the group after beating Laos 3-1 in the other tie of the evening. The match was only 12 minutes old when Malaysian skipper and goalkeeper Khairul Fahmi Che Mat had to pick the ball from inside his net after the outside right foot of Nguyen Cong Phuong pounced on a defensive lapse. The 40,000 odd home fans dressed in red had plenty to cheer with an early goal as the “Golden Dragons’ then punished the Malaysian backline yet again on the hour mark. This time Anh Duc beat the offside trap and race in space to clinically finish off a through pass – a shot that went beyond the reach of Khairul Fahmi. Vietnam 2-0 up and are in the driver’s seat. Malaysia tried their best to get back into the picture but it was not enough against the 2008 champions. “We played better against Vietnam than how we did in the last two matches. Conceding the first goal inside the first 15 minutes disrupted our momentum,” said Malaysian head coach Tan Cheng Hoe.